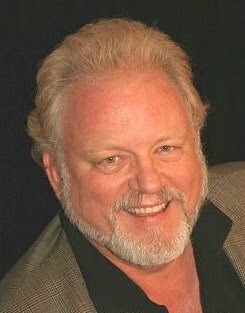 THE EVOLUTION LIST is a forum for commentary, discussion, essays, news, and reviews that illuminate the theory of evolution and its implications in original and insightful ways. Unless otherwise noted, all materials may be quoted or re-published in full, with attribution to the author and THE EVOLUTION LIST. The views expressed herein do not necessarily reflect those of Cornell University, its administration, faculty, students, or staff. It's finally done! After more than a year of meetings, writing, image acquisition, videotaping, sound recording, editing, revising, captioning, and (most of all) thinking, our video series on the Darwinian revolutions is now online! • the theory of natural selection, Darwin's mechanism for evolution. Beginning with an overview of Darwin's predecessors, we learn how the idea of evolution by natural means alone goes back more than two thousand years, to ancient Greece and Rome. 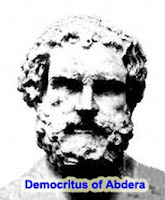 Democritus of Abdera first proposed the "ground rules" for naturalist evolution, which were later extended by the Roman poet and philosopher, Lucretius. However, these early naturalistic theories were eclipsed for almost two millennia by the ideas of Plato and Aristotle. 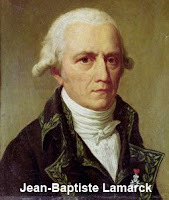 In the 19th century, Jean Baptiste Lamarck set the stage for Darwin's monumental achievement with his Philosophie Zoologique (published in 1809), which advanced a theory of evolution by means of the inheritance of acquired characteristics. Lamarck's theory was the first theory of evolution to include a testable mechanism for evolutionary change — the inheritance of acquired characteristics — and provides a useful comparison with Darwin's theory. Darwin, whose academic training at Cambridge University was in Anglican theology, became an acclaimed naturalist and science writer following the five-year voyage of HMS Beagle. 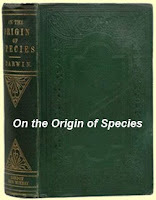 Using the notes and specimens that he had collected during the voyage, Darwin spent twenty years refining his theory, first published in 1859, of evolution by natural selection. Darwin's theory of descent with modification was accepted by most scientists worldwide within ten years of its publication in 1859. However, his theory of natural selection was widely criticized, and by the turn of the 20th century was widely considered to be dead. 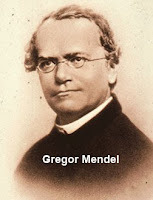 However, the work of Gregor Mendel, who discovered the foundations of what we now call genetics, provided a mechanism by which Darwin's theory could be revived and expanded. 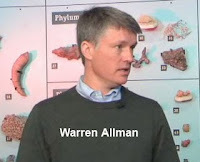 In the final segment of this series, we visit the The Museum of the Earth in Ithaca, New York, whose director, Dr. Warren Allman, discusses the importance of such museums to the science of evolutionary biology. We also hear from Cornell professor William Provine, who discusses Darwin's work and its importance to the history and philosophy of biology. He tells us how Darwin's original theory of natural selection was integrated into the sciences of population genetics, ecology, physiology, paleontology, embryology, and botany, to produce a "modern synthesis" of evolutionary theory. Prof. Provine also tells us how the "modern synthesis" has continued to evolve, and that today is the most exciting time yet in the history of Darwin's scientific revolution. This has been an exciting year: the 200th anniversary of the publication of Lamarck's Philosophy Zoologique, the 200th anniversary of the birth of Charles Darwin, and the 150th anniversary of the publication of Darwin's Origin of Species. There have been many events marking these anniversaries, and there will be many more. 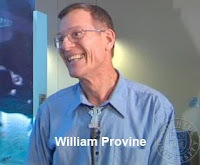 As Will Provine says, the theory of evolution is more dynamic, more exciting, more widely accepted, and more widely applied than at any time in the past century and a half. With the accelerating pace of discoveries in evolutionary biology and their applications in biology, medicine, psychology, economics, and even literature and art, the 21st century shows all indications of being what the founders of the "modern synthesis" called it back in 1959: the "century of Darwin" and his theory of evolution by natural selection. As always, comments, criticisms, and suggestions are warmly welcomed! I teach introductory biology and evolution at Cornell University in Ithaca, NY. You can download or view my current curriculum vitae here. The Answer...Now, What Was The Question?